ACROSS: Please give us a brief overview of EPP. 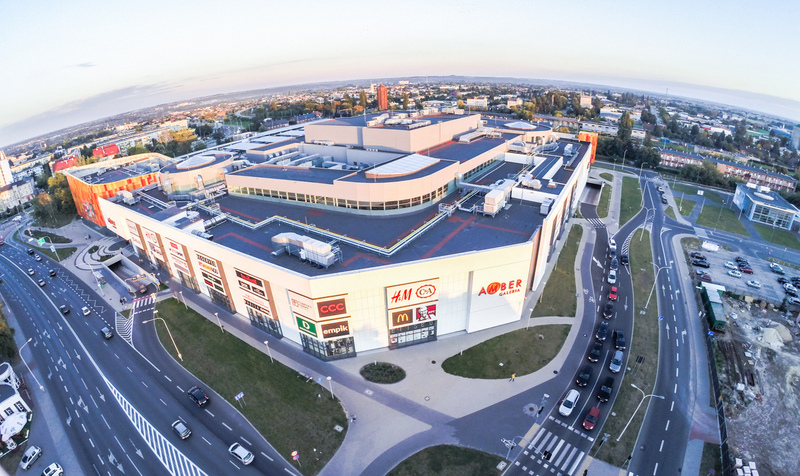 HADLEY DEAN: EPP is Poland’s largest shopping center owner in terms of gross leasable area. Currently, our floor area amounts to just under 700,000 square meters. By summer 2020, we intend to reach over 1.1 million square meters. The average size of our malls is 38,000 square meters. Accordingly, they are large and dominant assets. Does EPP exclusively focus on Poland? DEAN: Yes. We are a purely Polish property player. After all, we are talking about an exciting market, made up of 40 million people, which has experienced gross domestic product growth for 25 years. When one considers where retail growth is taking place, it is clear that excellent opportunities exist in Poland. It does not matter which retail forecast you review – each attributes 50 percent more money to the country via consumer spending over the next five years. ACROSS: Nevertheless, challenges for EPP are emerging in Poland. What are they? DEAN: (laughter). That is a good question. From an investor’s perspective, it is critical that outsiders associate Poland with Lech Walesa and the shipyards in Gdansk. They do not realize how unbelievably rapidly the country has developed. Therefore, the biggest challenge we face when we meet investors is informing them about what Poland is really like in 2018. When we organize road shows in the country’s metropolises, they are usually positively surprised by what they see. This clearly shows investors that their previous perception was completely wrong. ACROSS: You focus on the biggest cities in the country, don’t you? DEAN: We are currently active in 20 cities in the country, that is, in every area that we refer to as an “urban location”, as well as in so-called super-regional markets. Super-regional markets have catchment areas that include more than 250,000 people, but they are smaller cities. I would like to make a comment with regard to smaller cities: In October 2016, our data revealed that the biggest increase in sales was happening there. We began to investigate why this was the case. We discovered that income in smaller cities had risen the most in terms of percentage. There were three reasons behind that development. The first one stemmed from the fact that local residents commuted to well-paid jobs in big cities. The second reason revolved around Poland’s Family 500+ program, which became effective two years ago. ACROSS: What kind of program is it? DEAN: It provides a benefit of PLN 500, i.e., EUR 125, per month for every second and subsequent child, without additional conditions. Seventy percent of this PLN 500 goes towards consumer spending. Those who have children can buy them clothing, a computer, take them to the zoo, buy a more spacious car, etc. ACROSS: What was the third reason? DEAN: A great deal of money from EU funds flows into the aforementioned small cities. In general, Poland is the biggest recipient of EU funds. Such transfer payments are intended to draw the small cities closer to the metropolises and make them flourish. ACROSS: What properties does EPP operate in small cities? DEAN: The 33,600-square-meter Galeria Amber in Kalisz is a showpiece. We saw a 12 percent increase in sales turnover there last year. Kalisz, which has a population of 250,000, is about 45 minutes from Poznan. This is an exciting super-regional market. ACROSS: In Europe, online shopping is constantly on the rise. What is the situation in Poland? DEAN: (laughter). Yes, online sales are increasing. However, our most recent data shows that this growth is currently leveling off at a rapid pace. In addition, over the past six months, the prices of many of the big retail stocks in the USA have risen. The e-commerce boom is not over, but a slowdown is taking place. It is interesting to note that major differences exist across Europe. Germany is far ahead of Italy and Spain – and even further ahead of Poland. As previously mentioned, the beauty of the Polish retail story lies in the expected increase in retail sales by 50 percent over the next five years. Of course, online sales are rising more rapidly here. A person who spends 100 euros today, spends an average of 5 euros online and 95 euros at brick-and-mortar stores. That 5-euro amount is expected to increase to 15 euros. On the other hand, that 95-euro amount is set to increase to 130 euros. One must not lose sight of this weighting in favor of brick-and-mortar retail. ACROSS: How does Poland stand out in terms of online shopping? DEAN: The Polish market differs from Western Europe in that 50 percent of all online sales are attributable to Click & Collect. That’s a huge figure. At Empik, for example, 85 percent of all online sales derive from Click & Collect. It enjoys such popularity for three reasons. Firstly, a lot of Polish people have two jobs. In other words, they leave home early and return late. Secondly, the average online purchase amount in Poland is 10 euros, which is 50 percent lower than in Germany. A person who buys something for 10 euros is unlikely to spend 2 euros on delivery. As a result, Polish people make purchases on the Internet either at home or at work, select Click & Collect, check the goods at the shopping centers, and pay for them there. This also factors into the third reason. Polish people are very protective of their banking and financial data; they rarely make online payments. 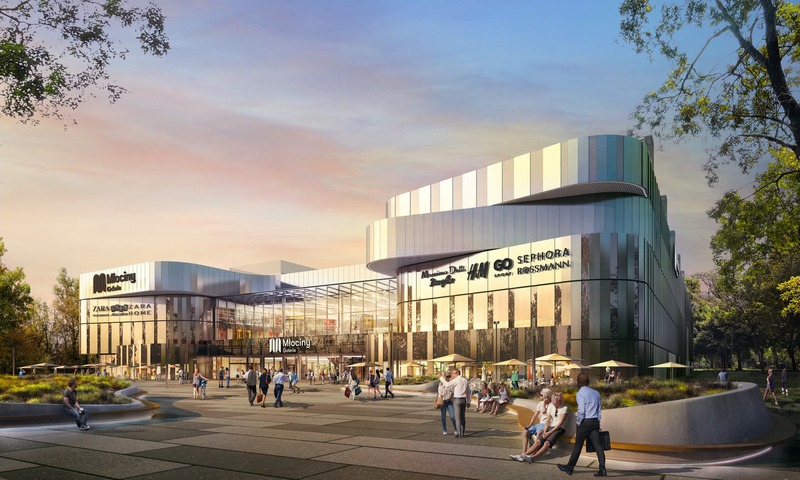 ACROSS: Against the backdrop of competition from online shopping, gastronomy and entertainment are increasingly becoming more important at European malls. How is EPP dealing with this trend? DEAN: As much as 16 percent of our GLA is occupied by Food & Beverage. This is a high figure compared to Western Europe. One must also be aware that there are hardly any High Streets in Poland. Specifically, there are exactly two: one in Warsaw and one in Krakow. Shopping has directly transitioned from traditional markets and state-run stores to shopping centers. Accordingly, these centers are not regarded as places purely intended for shopping. Polish people view them as bright, friendly places where they can meet family and friends. They are seen as a social experience. Shopping is a very social thing in Poland. Against this backdrop, we are currently building an 85,000-square-meter mall in northern Warsaw: the Galeria Mlociny. Over 20 percent of its GLA will be allocated to Food & Beverage. Fifty restaurants, cafés, and bars will be offered there. Additionally, interesting concepts, i.e., slow food, cocktail bars, and food trucks will be available. There will be something for everyone. ACROSS: What impact has the Sunday Trading Ban, which recently became effective in Poland, had? DEAN: That’s a big issue. We do not have any significant data on its impact in Poland yet. However, we are aware that such measures have had an initial impact on the footfall. Take a look at “Plaza Stop” in Hungary. Soon, customers will get used to the measure and adjust their behavior. We expect and see the same trend in Poland. Our Friday, Saturday, and Monday figures are on the rise.